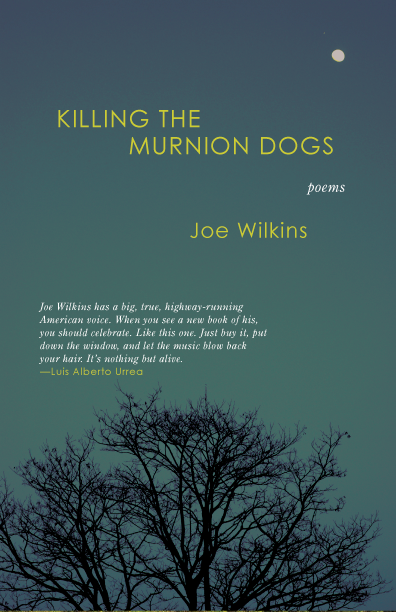 When We Were Birds, a finalist for the 2016 Miller Williams Poetry Prize, is another strong collection from Joe Wilkins, one that evokes the Midwest in every poem. In 2007 my wife and I moved to a small town in northern Iowa. I was fresh out of graduate school, pleased (and a little shocked) to have found a good teaching gig, and we were both excited to explore a new part of the country, to come to know, as we could, the landscapes and stories of the Midwest. We had six good years there in Iowa. We bought a house, we started a family, we adopted the scrawniest, sweetest little cat you ever saw. We had six good, hard years. Not long after we moved, after we settled in and started paying the mortgage, like some dark curtain the Great Recession fell across all our lives. The factory in town, the largest employer for miles, was hit hard. Loads of layoffs, the plant shutting down for weeks at a time to cut costs, our neighbors furloughed, then, without pay, sitting on their back steps, smoking cigarettes, staring into the dark, winter-bare lilacs. And the college where I taught was struggling as well. A round of staff cuts mid-year. Then another. And over the summer two academic departments. Many of the recent hires left as quickly as they could, their names still fresh on their office doors. Those who stayed were shocked and confused, angry—sure that the years ought to add up to something more than years. And then, not long after we heard about the cuts, about the college’s debt, about a possible sale—who knew a college could be sold?—we found out that we were pregnant. We had thought that we might leave too. Instead, we hunkered down. Turned inward. We waited for our son. Painted his room. Snowshoed along the Winnebago River. Planted a big, messy vegetable garden. In the summer of 2009 our son was born. He was colicky, demanding. He was everything. A universe. A gravity that had us. There are spans of time—months—where I don’t know what I did but walk with him, carry him along the dirt path at the edge of town as he slept. Eighteen months later, we were pregnant again. A daughter this time. And, when I could, I kept writing. Writing our experience of dislocation and wonder at this forever landscape of corn and soybean and slow rivers. I tried to write the fallout of the recession, the ways I saw the small town we were living in grow ever smaller, starker. I tried to write us readying for our son, our daughter. I tried to write the confusion and fear of coming into fatherhood, my own father having died when I was young. And, too, as our children grew, I tried to write the terror and dis-ease of parenthood, tried to write the tiring, transforming joy of family. The nine songs I’ve picked here, I hope, mirror both our sojourn in the Midwest and my struggle to know that experience in the poems of When We Were Birds. Before I left for Iowa, a friend gave me a mixed CD as a going-away present. It was a good CD, but “Way Home Soon” didn’t stand out until we made it to the Midwest. It took those flat, straight, county-line Iowa roads for No River City to shine. “On the finest night in Iowa,” Drew de Man sings, ” The clouds slide under the moon / So I roll another cigarette and breathe out my prayer / That I might wind my way home soon.” Even then, only weeks and months in, driving those new roads, I think I knew Iowa wasn’t—couldn’t be—home. I grew up in a small town, a town even smaller than the one we lived in in northern Iowa. And many things—the isolation, the rural poverty, the unspoken codes and expectations, the succor of community—reminded me of my growing up years. But twisted. Not quite the same but close. And this became even more apparent as my son grew into boyhood, as he tried to play with the boys next door—his experiences wildly different and, sometimes, sadly the same as my own. Much like, I think, this haunting rendition of “Patience,” Cary Ann Hearst just killing Axl’s lines there at the end. I found myself, as a poet, somewhat adrift in the Midwest. The voice I’d been speaking in—wrapped up in grief and memory and the landscapes of the West—just didn’t seem to work. One day I happened on an article in the local paper about a prisoner who’d escaped for a couple of hours from the town jail and was recaptured only a couple of hours later. My morning walk to campus took me right by the jail; I often heard the inmates talking and playing basketball in the yard. I wondered what this man was thinking. I mean, it was February in north Iowa, drifts of snow as high as your shoulder on every corner, the mercury in the single digits most days. I started writing the poem “Leviathan,” speaking in that prisoner’s voice, trying to understand. That poem quickly led to other poems, other voices. The dramatic monologue has a long tradition in poetry—and in country music. Particularly Cash’s varied and devastating confessions. Again, the recession. We made it through with only a few scrapes. But so many of our neighbors didn’t. On our block alone—eight houses resting on a small green rise, a rutted alley, great tall buckeyes and oaks, low stone walls along the street—we counted, and hated to be counting, three work furloughs, two lost jobs, one house foreclosure, one suicide. There are lots of rock songs about being in love and wishing to be together. There are very few about being together and being in love—and also being new parents. “Blues Jeans & White T-Shirts” isn’t about that either, but in its tiredness, its tired acceptance, it always reminds me of that weary, wonderful time. You just won’t find a sadder, happier leaving song that Nanci Griffith’s “Listen to the Radio.” I remember, distinctly, crossing the Missouri on our way back west, bright late afternoon light spilling through the windshield, and the jangle of Nanci’s guitar spilling from the speakers. I glanced in the rearview, caught my son tapping his little foot to the tune. Joe Wilkins continues his portraiture of the American West with his new poetry collection Notes from the Journey Westward, winner of the 2012 White Pine Poetry Prize. These poems paint a western landscape both natural and human, one unromanticized yet filled with both darkness and beauty. In many ways, Notes from the Journey Westward, my second full-length collection of poems, can be read as the second and final installment of the poetic project I began with Killing the Murnion Dogs. Both books begin in the high plains of eastern Montana and then travel miles across the American interior, and both grapple with similar questions—what myths have made us? might we find a way to live with loss? what is it that pulls us, always, farther west? Yet Notes from the Journey Westward is a fiercer, more insistent book. The voices here—doomed pioneers, an aging Butch Cassidy, and an AM radio preacher, among others—are pitched higher, more rageful and wondering, though the answers they demand are seldom offered. Notes from the Journey Westward ranges more widely, too, both stylistically and thematically, excavating the past as well as the last years of Bush presidency, grappling with theodicy and, by the end, quieting, finding some few things to claim and believe in. And so, for this Notes from the Journey Westward playlist, I’ve tried to put together a mix of songs that mirrors and deepens this fierce, various journey west. Stream a Spotify playlist of these tunes. If you don’t have Spotify yet, sign up for the free service. 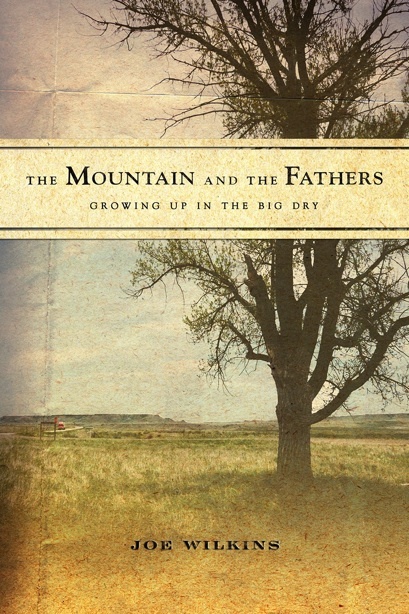 The Mountain and the Fathers is a memoir of my boyhood and young adulthood on the Montana plains in the 1980s and ‘90s. The book is built of fragments of memory, story, research, meditation, and imagination. And the book is filled with music. Whether crackling from a single speaker radio with a tinfoil flag on the antenna or screaming out of a boombox, there was always music. Most everyone around town listened to whatever happened to be on the pop country station out of Miles City, but my parents had a whole box of records in the basement. Gordon Lightfoot, Joan Baez, Johnny Cash, Herb Alpert and the Tijuana Brass—I loved to thumb through them, to study the worn covers. When I was in middle school, my older sister gave me lessons in Bon Jovi and Poison. Then the radio station up in Billings started to play Pearl Jam and Nirvana. And one day I found Bob Dylan’s Greatest Hits at a K-Mart bargain bin and bought it, not really knowing what I was getting myself into. This playlist functions as a kind of sonic summary of The Mountain and the Fathers. I hope you enjoy the music and the book. Extricating memory from story can prove difficult, and in the writing of The Mountain and the Fathers I had to interrogate many moments for traces of both. For instance, I know my father, in from a morning’s work in the fields, used to rest in the basement after lunch and listen to Gordon Lightfoot records on his HiFi. What I don’t know is if I actually remember sneaking down the stairs to watch him, to see him reclined in his easy chair with his eyes closed, or if I have simply been told that I did so many times that the tale has begun to feel real. Whether memory or story, though, I can see it all, can even hear Lightfoot warbling along in my mind. A year or two after my father died, when we were still boys, my brother got one of Waylon’s greatest hits tapes for Christmas, and we played it on one of those old black cassette player/recorders with mechanical keys. I remember liking the growl and verve of it, the tough tenderness of it, and I remember, as the music slowed and Waylon began to croon, my mother telling us that “Amanda” was one of my father’s favorite songs. I’m not sure I heard Johnny Cash’s “Folsom Prison Blues” until I was a young man. Yet the song, or, more precisely, the album, mattered a great deal to me. It was one of the records in my parents’ basement collection, and one spring, when the basement flooded after a hard rain, most of those records were soaked. We dried out the ones that weren’t warped and cracked beyond recognition. Very few of the record jackets survived though. The jacket of At Folsom Prison was one that did, though half of the cover photo sloughed off, a ragged line running through Cash’s face, just below his eyes. Years later, finding the album in a used record shop, the unblemished cover shocked me. It didn’t look right at all. Rather, the damaged photo—with its narrative of associations, its impressionistic possibilities—seemed truer to the music, that, by then, I knew well. As a teenager stuck in an outpost town on the plains of Montana, where pop country ruled the radio waves and the best record store around was the Sam Goody in the mall two hours away, Pearl Jam was a revelation. And “Corduroy” especially. The way it builds to a howl, then fades, then howls again. It made so much sense to the fearful, howling boy I was. In writing The Mountain and the Fathers, I came back to much of the music I listened to as a teenager. These days, I wouldn’t listen to most of it on a regular basis, but, wow, does it ever still pull at the old heartstrings. “Believe,” Corgan sings, “believe in me, believe / That life can change, that you’re not stuck in vain / We’re not the same, we’re different tonight.” You don’t hope for much more than that when you’re sixteen. This little alternative rock tour wouldn’t be complete without a Nirvana tune. Though I loved the screams of those first few albums, Unplugged was the one I listened to the most. That powerful, complicated, stripped-down sound readied me, I think, for all sorts of musical discoveries to come, including Dylan, Springsteen, Wilco, and Lucinda Williams. Though Dylan only gets a brief mention in The Mountain and the Fathers, his music (like Hemingway and Ralph Ellison, authors I discovered around the same time) instantly represented for me the world beyond the small town of my youth, the world I wanted so badly to escape into as a young man. A friend and I used to sneak out his second-story window and smoke cigarettes and listen to Tom Petty when we were in high school. That was fun. Still sounds kind of fun. Another Lightfoot tune that has haunted me for years. And I mean haunted in the best possible way. Every time I hear “Sit Down Young Stranger” I’m stunned. The guitar work is, as always, wonderful, and Gord’s voice is at its sad, brawny best; he truly inhabits both the plaintive young stranger and the questioning father. Also, for many years I had it in my head that this Lightfoot song in particular was important to my father, but I don’t know if that’s true. Rather, I think it’s been important to me all these years for the very way the father and the son hesitatingly approach and speak to one another inside the same song. And so I use “Sit Down Young Stranger” as a bridge, then, in the last section of The Mountain and the Fathers, in an imaginative scene of my father in his prime, some months before I am born, a scene that I hope pulls into perspective the man who was my father and the man I have become, as well as the fact that we are all, and simultaneously, daughters and sons, mothers and fathers. Though I’m no musician (they made me play the cymbal in junior-high band because I couldn’t read music), it seems to me that poems and songs, or at least the ones that I most admire, often work the same way: they amplify the moment; they jump and cut through narrative; they twist the edges of things, pull strange details into focus. My first full-length collection, Killing the Murnion Dogs, deals primarily with the landscapes, memories, and stories of my Montana boyhood and of my time teaching pre-algebra to ninth graders in the public schools of the Mississippi Delta. And the book takes a few sojourns along the highways and byways that carried me back to and away from these mythic geographies as well. So, for this Killing the Murnion Dogs playlist here at Book Notes, I’ve chosen ten songs that influenced how I witnessed, experienced, and understood these places—and so deeply influenced the poems that came from them. Even in the Garth-Brooks-or-nothing small Montana town I called home, Springsteen was a god. And like everyone else, I sang along when “Born in the USA” and “Glory Days” came on the radio. Yet it wasn’t until my freshman year of high school, when I picked up Springsteen’s Greatest Hits and first heard “Atlantic City,” that The Boss won me over. Though the action of the song was a bit obscure (what, exactly, was a chicken man? ), and I’d never even been within a thousand miles of New Jersey, that sound—raw and rushed, desperately poetic—mirrored the lives I saw all around me. It knocked me out, that a work of art could speak from and about our broken, ordinary world. The summer before I left home for college, some CD club mistakenly sent me Wilco’s Being There album. I had no idea who Wilco was, but liked the cover and kept it. The opening track—those discordant electronic sounds finally giving way to a simple piano melody—kind of pissed me off at first, like the song was trying to have it both ways, and the lyrics trafficked in the same contradictions: “There’s something there that you can’t find / You look honest when you’re telling a lie / You hurt her but you don’t know why.” Despite the confusions, I couldn’t stop listening and, slowly, that celebratory, nostalgic anger started making a little bit of sense. Whew. That first year in Mississippi was hard. I was trying so hard to be a good teacher, but kept slamming up against my own missteps in the classroom, as well as a hundred and fifty years of institutionalized inequality. “Alabama’s gotten me so upset,” Nina Simone sings, her voice escalating nearly into a scream: “Tennessee made me lose my rest / And everybody knows about Mississippi Goddamn!” Goddamn is right. Some Fridays after school, obscenity seemed the only way to deal with the heartache of the week. I feel a bit sacrilegious here—not picking Son House or Sonny Boy Williamson or another Delta blues legend—but when you’re trying to lose yourself along some Mississippi backroad, there’s nothing like the bass-heavy, hypnotic rhythms of the latter-day blues saint, Junior Kimbrough. Turn it up, turn down the first dirt road you come across, and don’t look back. Ah, Bob. I’ve been hooked ever since I picked up a $5.99 copy of Bob Dylan’s Greatest Hits in a K-Mart bargain bin when I was about thirteen. Lately, though, I’m digging the most recent bluesman-troubadour reincarnation of Bob Dylan. Such fun, strange, affecting music. I remember listening to Love and Theft as we packed up to leave our little house in Sunflower, Mississippi. Such a vivid, bittersweet time. I want to end with two traveling songs. First, Lucinda Williams’s “Jackson,” which just might be the saddest song ever written. As she drives south through the cities and towns of Mississippi and Louisiana, Williams sings of trying to forget a lost loved: “All the way to Jackson / I don’t think I’ll miss you much.” We know, of course, by the very act of the song, that she’ll never forget. No matter how far she travels, the pain will always be with her. Like it will for us. Still, three hours into a day of driving, after the initial excitement of the journey has worn off, there’s nothing like a truly sad song to bring you around again.